The Vanco Contact 2 offers car-like comfort for vans. 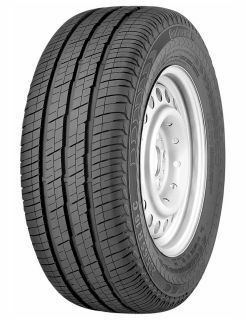 This is the optimum tyre for your car-derived van or transporter. Designed especially with these vehicles in mind, this tyre ensures outstanding mileage potential. Its car like tread pattern gives optimum contact with the road to provide car like comfort, whilst at the same time allowing sufficient drainage channels for water dispersion. The result is one of the safest and quietest tyres on the market. Looking for a different tyre? Looking for a different tyre brand? At The Tyre Group we stock all major tyre brands all of which are available to buy online for fitment at any one of our 41 branches throughout the Midlands, South West England and South Wales.